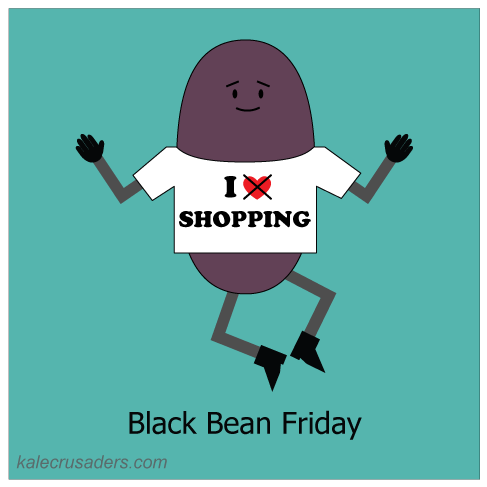 Happy (American) Thanksgiving Week! It's the most wonderful time of the year: a time to give thanks for the season's bounty while being grateful for the modern and awesome food innovation of canned cranberry sauce. 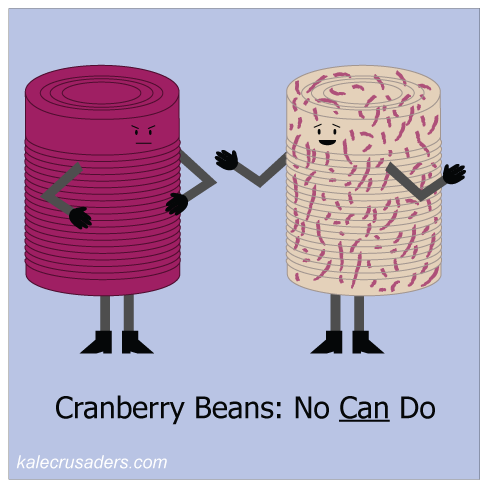 It's too bad that Cranberry's not-so-blood-related-cousin, Cranberry Bean, does not take well to canning. Luckily, Ms. Bean fits in well elsewhere, including fresh cranberry bean hummus with chervil, fresh cranberry bean pilaf, vegetable soup with cranberry beans, farro, and chard, and fresh cranberry beans and tomato stew. P.S. 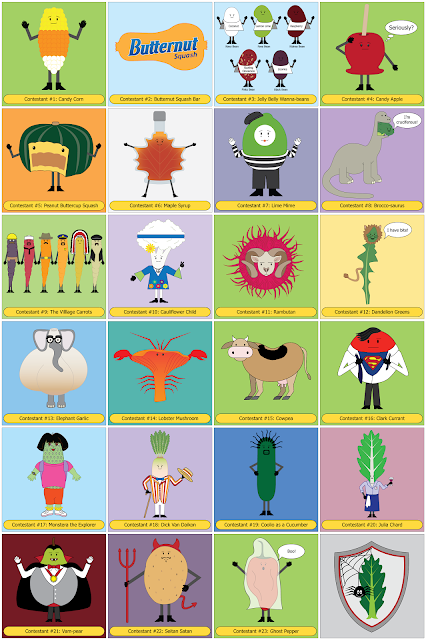 We owe yet another hat tip to our friend and Kale Crusader A.J. 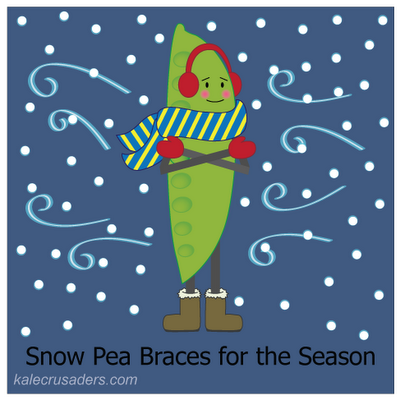 for nominating Cranberry Bean! 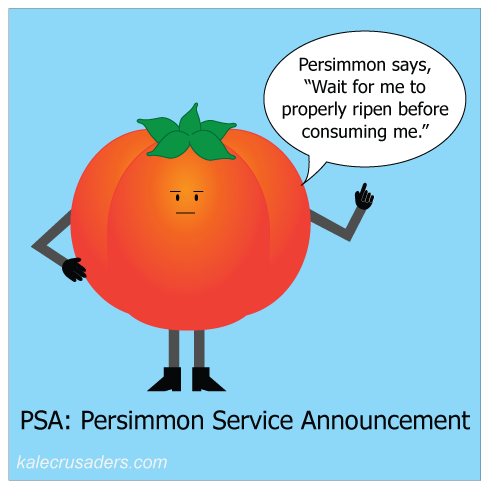 We interrupt this blog for a Persimmon Service Announcement. Like Simon, Persimmon says a lot of things that you should listen to, when prefaced with "Persimmon Says." Asked for his general advice on eating, Persimmon replied, "Eat persimmons, never too much, mostly ripe." He also wants you to eat persimmon, pear, and clementine salad, raw persimmon fruit pudding, persimmon bars, and persimmon ice cream. 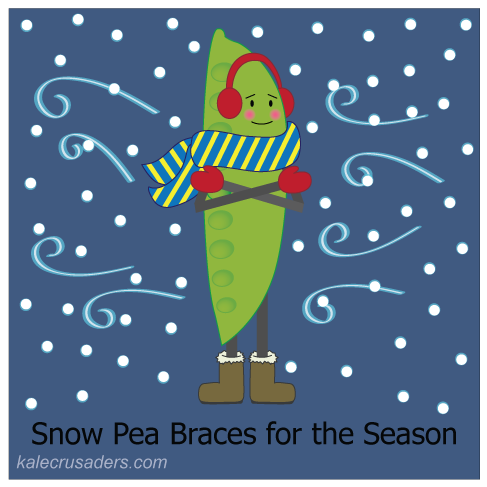 Back to our regularly scheduled cartoons! 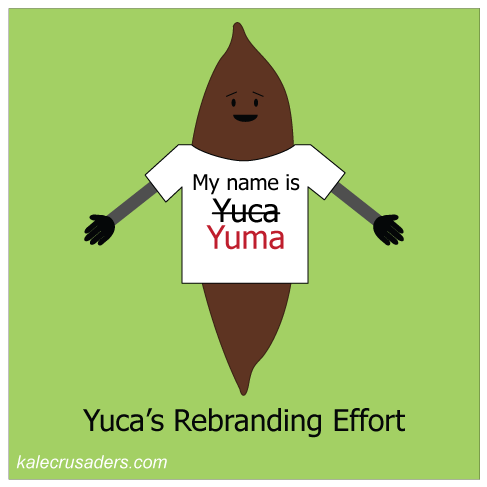 There's something magical when like-minded individuals come together to create something creative, beautiful, and tasty. 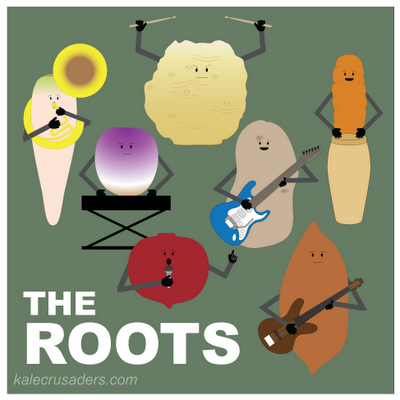 Fan favorites like The Roots have been doing this for 25 years, but nothing beats the Root Vegetables, who have been doing this for, um, a much longer time. Let the Root Vegetables perform music in your mouth with root vegetable pancakes, root vegetable and fennel casserole, root vegetable pot pie, and lil roasted root veggies. P.S. Don't forget to vote for your favorite Halloween Costume by this Sunday at 12:00 PM EST Vote here!! !